The veggies are growing! I was a bit skeptical when Tonji said he was going to start growing some vegetables. 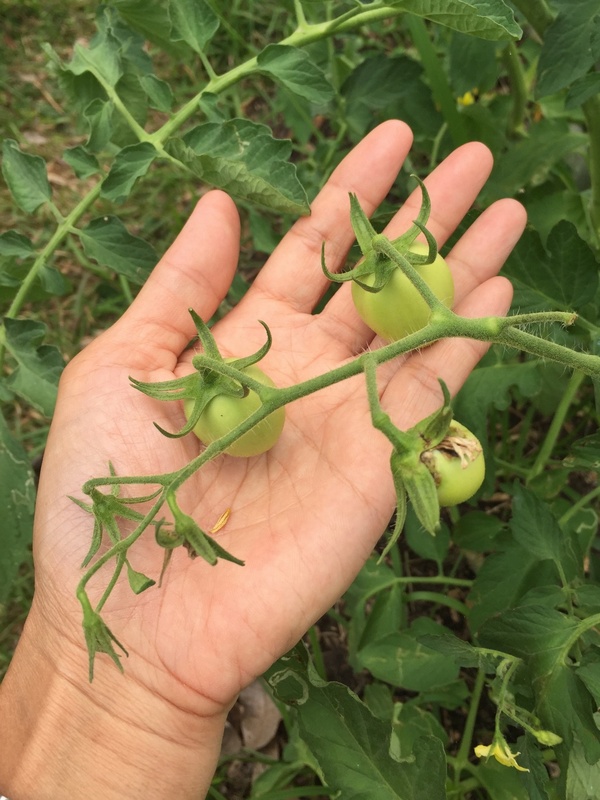 Was it really that simple to grown your own vegetables? Don’t you need to take a seminar first? 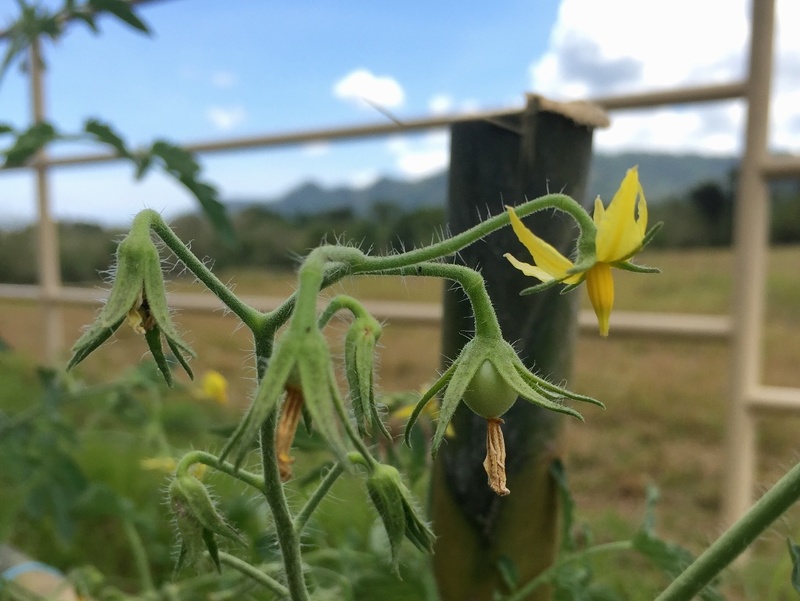 I wanted to follow permaculture principles in growing vegetables where you don’t plant in rows and just scatter the seeds randomly. I did try scattering assorted seeds in the farm. A few things sprouted, but the problem was I couldn’t even tell what they were –vegetables or weeds. We are now doing Tonji-style vegetable growing. Cover the ground in wood chips. Let the wood chips age. Start the seeds in seedling trays. Transplant seedlings to raised mounds made of vermicast and wood chips. So far, it’s working! It also helps that our caretakers seem to know what they’re doing. They’ve been giving feedback on planting. 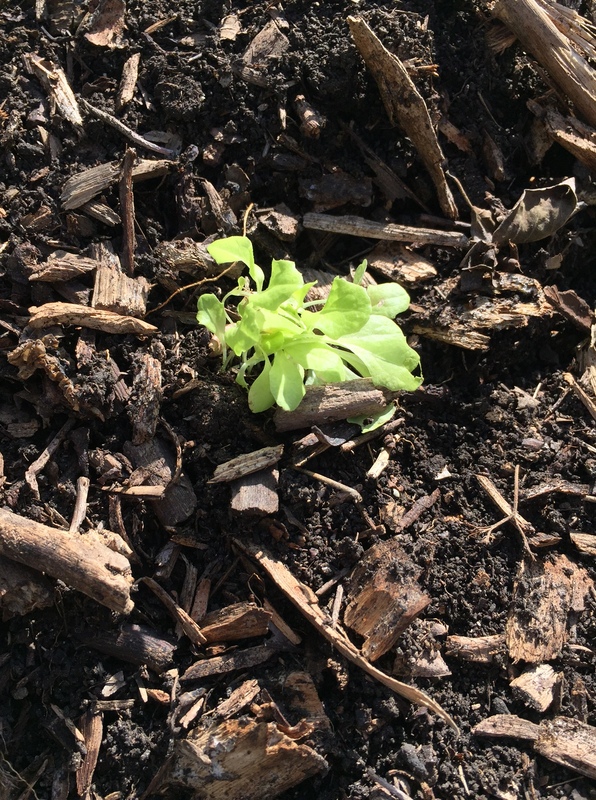 This is a close-up of a tiny lettuce seedling. All natural, inspected and approved by Momo! 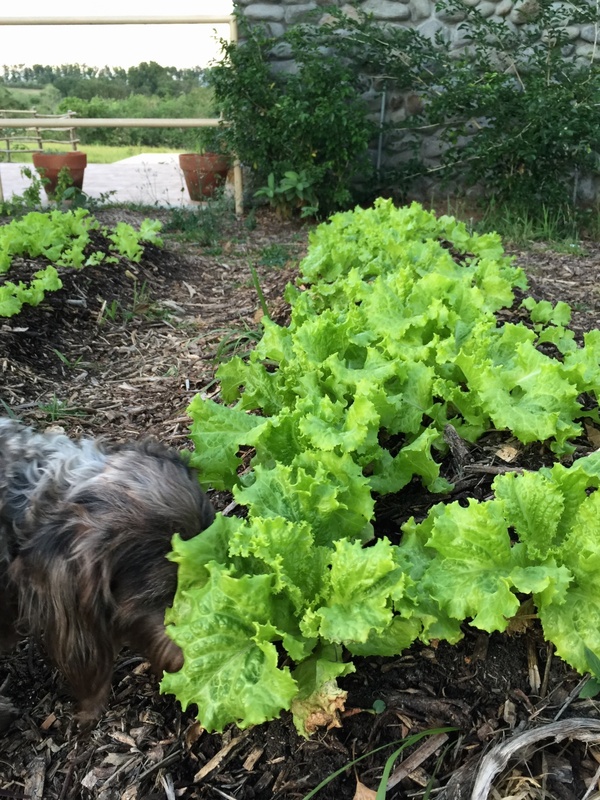 So far, it’s only lettuce and tomatoes at the veggie patch. The tomatoes are more entertaining to watch than the lettuce. They have flowers! Some flowers dry up and wither, some turn into tomatoes. Our flower expert friend Timmy suggested using the tip of a pen to gently vibrate the flowers so that more of them fruit. From left to right: a withered flower, green tomatoes, a flower. The tomatoes are still small and green. We also have eggplants on the way.Our caretaker wants to try cauliflower also. We have different packs of seeds and are experimenting with them, seeing what will grow. This has turned out very well so far!